ねこざるのひなたぼっこ フィリピンの飲み・・・About drinking in The Philippines. フィリピンの飲み・・・About drinking in The Philippines. I'm accustomed to life of city in The Philippines,atlast.Tomorrow I'm going to go my school getting zepny by myself. (Untill now I go there with stuff,Mike) So I'm looking forward to that.So I want introduce the way of drinking. By the way, there is good thing for interesting my life. That is DRINKING!! In this country,we drink in almost our house,ready I've drunk many time. We usually invite friends in the home to drink. In Japan, we dance and jump singing a song in karaoke. To NEKOZARU: Would you explain the fact to the stuff If misunderstanding occurred ? 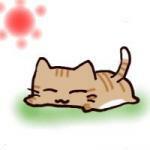 I try to write English comment from now on. I can hardly write, read, hear and speak English. If you want to do so with your intention, I welcome!